Raising a houseful of boys you are bound to have at least one who loves Star Wars, right? Try every single boy in this house loves Star Wars! We have seen every movie. Even when a new one hits the theatre, they want to see it. As soon as possible. We have lightsabers galore. And gliding them through the air is an art they have all mastered. Even the youngest one. 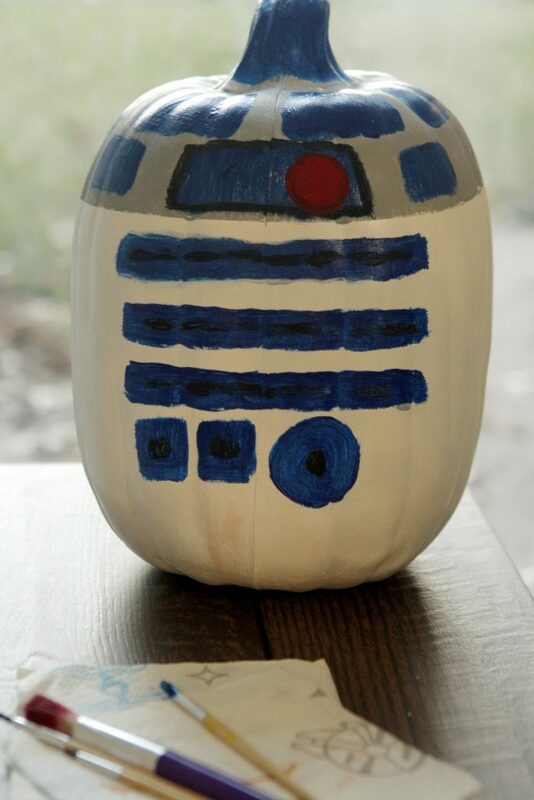 It just seemed perfect to create a Star Wars inspired pumpkin for our door step. R2D2 is the perfect character! 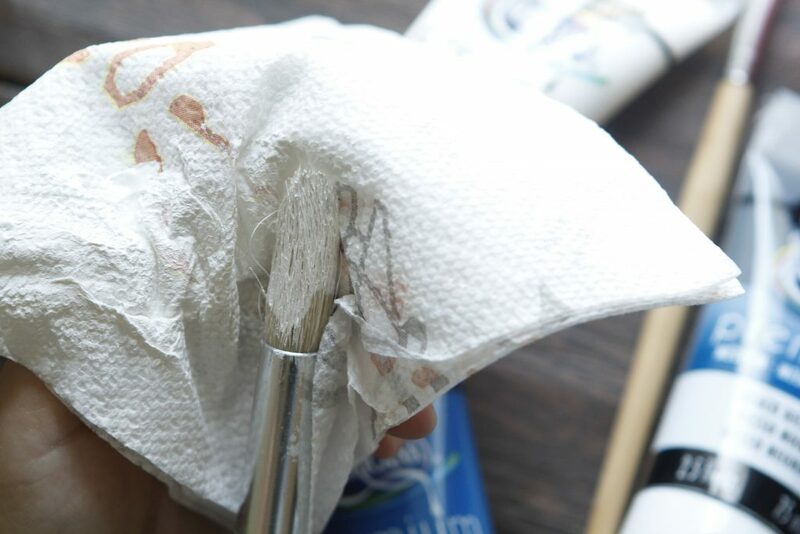 Super easy to create, even for those who do not have an artsy bone in their body. First, we covered the entire pumpkin in white. Let that dry 100% before moving on. This is something super easy the kids will enjoy helping you with. The paper towels came in handy for cleaning our brushes in between work. Once the white is dry, mix some black and white to make grey. Color the top 1/4the of the pumpkin grey. See below to see how we did it. Then, grab you blue and add in the blue areas. Just follow our image below. Also, add a red “eye” just like we did. Use the black to trace about some of the areas to make them stand out. 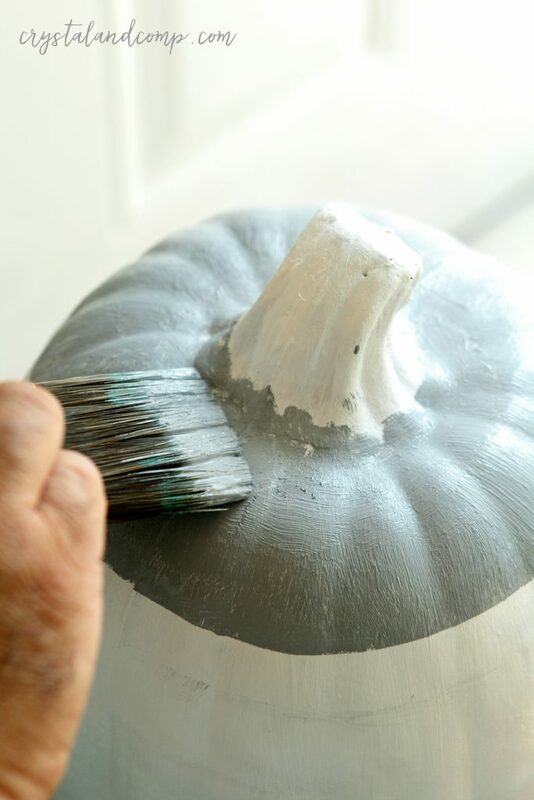 Also use the black paint to trace around some of the blue areas. And that is it! It really is that simple. We created this in no time. Waiting for the colors to dry before moving on to the next step, was the longest part. We can still do the messy projects with our kids. Remember, it is all about making memories. Bounty is there to help make clean up a breeze!! Star Wars: The Last Jedi hits theaters December 15 and Bounty is celebrating with the release of its new, limited-edition Star Wars prints. On shelves now and available in both paper towels and quilted napkins, the prints feature some of your favorite Star Wars characters, and are a perfect fit for Halloween activities! What is best advice for embracing the mess so you can make memories this Halloween season? This post is sponsored by Bounty. All opinions are my own. Oh my gosh! That is just the cutest thing! How perfect for us geeks!! I love R2D2!! I also love white pumpkins! Thank you I am going to do this! I love it!! That came out absolutely perfect! It looks easy to make, too. We are big Star Wars fans here. My son started watching when he was just three, and used to have philosophical conversations with my about how Darth Vader got so bad. I actually bought a Star Wars encyclopedia so I could keep up with him! Ha! THIS IS SO CREATIVE!!! I friggin’ love it! I forgot that you can PAINT pumpkins. We are going to a Halloween party on Saturday and I really hope there is pumpkin painting there LOL! Om my gosh, that is so cute! What a great, creative idea! My stepson is a HUGE fan of Star Wars! I cannot wait to show him this. I bet he will want to do one! So cute!! I love this idea. 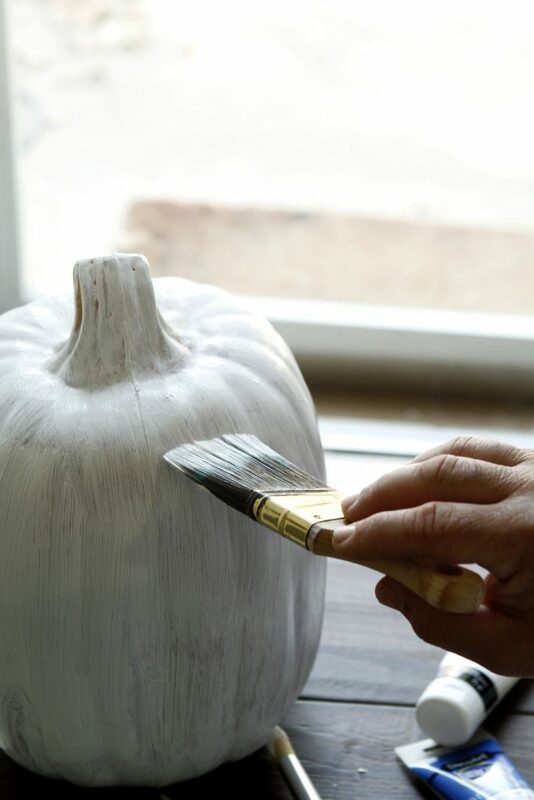 I hate carving pumpkins…thank goodness my husband does it with my kids every year. So this would be a great option for me! No carving or pumpkin guts!! This is so adorable! I bet you could set him up with a BB8 too! My son would love this. I guess I have a few days left to figure out what to do with a pumpkin, got two small ones but want to grab a bigger one at the patch tomorrow evening. I absolutely love this post. 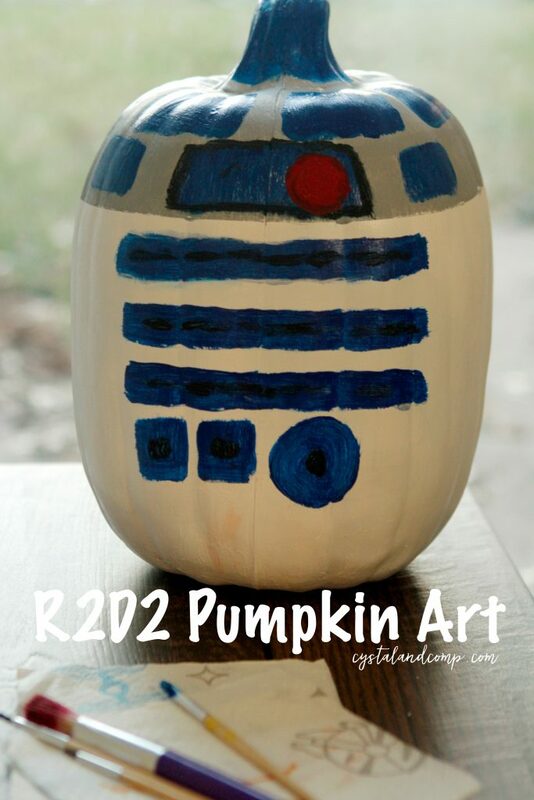 I come from a long line of Star Wars fans and this is going to make my Halloween feel a little more festive. What an amazingly creative way to include one of the most iconic and loved characters from Star Wars. Star Wars fans would love this! The art is very cool and unique. I might be one of the minority who has not done pumpkin carving EVER! I seriously need to change that. What a cute idea!! We just got our pumpkins and we’re going to decorate them today. To be honest, I hadn’t even thought about decorating them in a non-traditional way. Looks like we’re going to have a Ninjago and an Elsa pumpkin for Halloween! Ha! I really love this! Now that’s what I call creative! I love that there was no carving involved! Carving pumpkins is so messy and I absolutely hate it! Plus this is totally a boys thing! Fantastic! 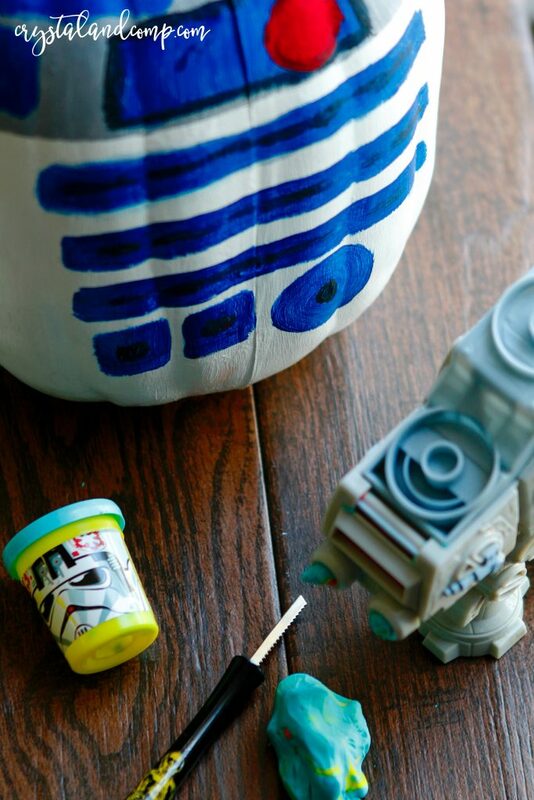 Cute idea for Star Wars lovers. This would also be a great kids craft. I can see them really enjoying this activity and making a different kind of Halloween pumpkin.